The School image used at the CEIST young leaders conference in March 2018. 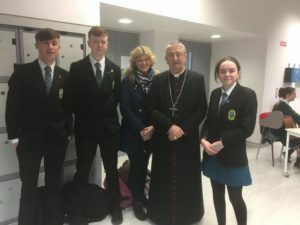 Our Student Council, led by our Head Boy and Head Girl, provides an experience for students in representative leadership – a preparation for taking one’s place in society. The Council puts forward the views of students on a range of school issues, and works with school management to promote a healthy and safe environment for all the members of the school community.True to the spirit of partnership, our students are involved in peer support, when 5th year students mentor incoming first years to ease the transition into second level or involve themselves in helping other students in the Paired Reading Initiative and Maths for Fun programme. 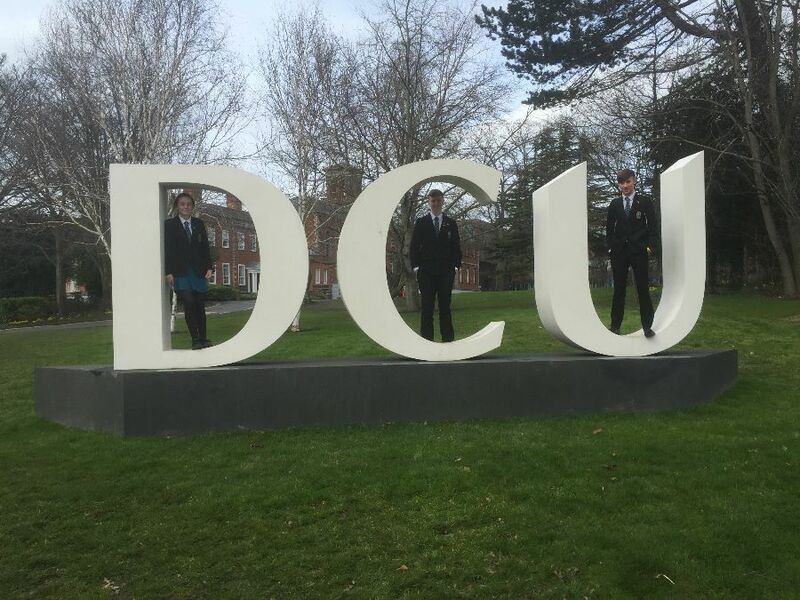 In Transition Year, students get the opportunity to peer educate on a broad range of issues. The Student Council in Mounthawk is comprised of class representatives, elected within each class group, who sit in meetings every month. At these meetings school matters are discussed, and the class representatives are given work to do. This could be collecting funds for a new project, relaying ideas to their class, and making students’ voices heard. 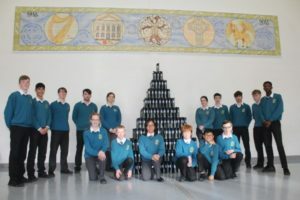 We have organised many events throughout the year, including a used books drive, organising school clubs, collecting much-needed funds for Gorta and teacher uniform day. The Executive Council connects with the staff, pastoral care team, Deputy Principals, Principal, teachers, and Parents’ Council. They are made up of representatives from each year group, and meet on a weekly basis. Health promotion weeks have been organised, as well as amending the school code of conduct and the antibullying policy. It is undeniable that the student council does valuable work without looking for recognition, and it is greatly appreciated. David Fitzgerald,Adam Butler(Deputy Head Boy), Margaret Leen, Archbishop Martin and Mary O Connell(Deputy Head Girl) @ Ceist Young Leaders Conference this year. 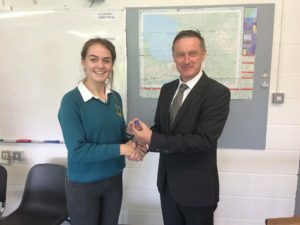 This year every class elected three class representatives; one for each committee. Two students from each year group were elected to the Executive Student council. The Executive Student council meetings are chaired by our Head Girl Lauren O’Grady and our Head Boy Darragh Clark. This month we elected our Deputy Head Girl Mary O’Connell and Deputy Head Boy Adam Butler. The aim of the Student Council is to encourage students to play an active role in their school and to have their voices heard . This year we became a member of the ISSU- The Irish Second Level Students Union. The Student Council has had a very successful year so far completing projects and organising events for our students. 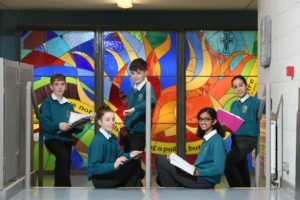 The Social Integration Committee is designed to promote the cultural diversity and the integration of students into all aspects of school life in Mercy Mounthawk. The committee liaises with multicultural groups in Transition Year including the group “Uniting Race and Culture”. In 2017 – 2018 they have helped to organise a multicultural night in our school hall and also helped in the organisation of the groups multicultural talent show. The Social Integration Committee also put plans in place for LGBT History Day, Black History Month and Seachtain Na Gaeilge. This term, the committee has worked closely with the “Senior Social Innovators” to organise a STAND UP to bullying day and are planning a multicultural week in the new year. They also achieve their ambition of an Amber Flag for mental health by working with S.S.I. The aim of the Ecology and Recycling committee is to make Mercy Mounthawk more environmentally friendly and to promote stewardship in our school. The committee works closely with the school’s S.S.I. (Senior Social Innovators). 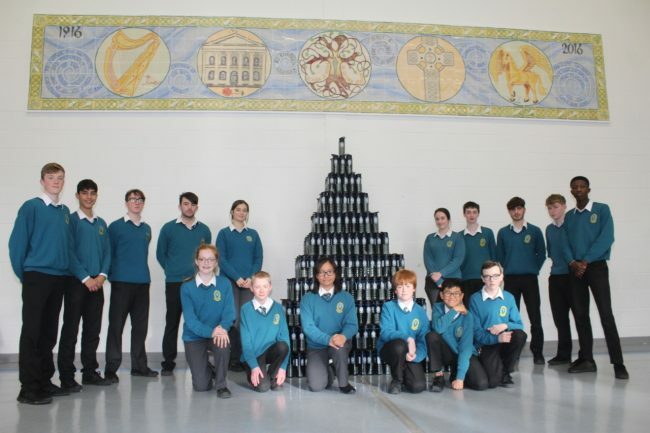 The committee succeeded in getting recycling bins in every class room in the school. 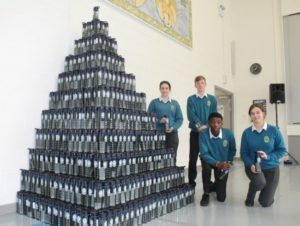 In addition they achieved their goal of implementing a school water bottle for every student. 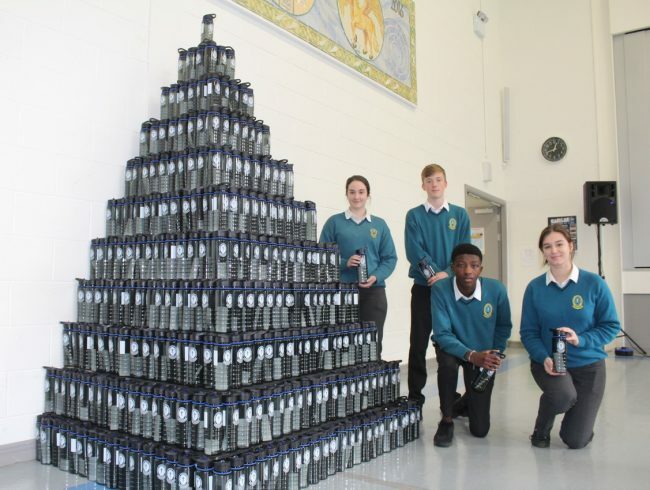 This has significantly cut down on the number of plastic water bottles in our school which are having a terrible impact on the planet. This month they succeeded in unplugging all TVs that had been left on standby around the school which will prevent a lot of wasted electricity. The Health and Fitness Committee is responsible for promoting health and fitness and wellbeing in our school. They aim to encourage an active lifestyle amongst students . They also promote and establish various sport clubs in Mercy Mounthawk. The committee formed a link with the Transition Year Active Leisure class. Last year they helped to organise a teacher versus students soccer game. This committee is responsible for our schools “Centenary Sessions” where students sing, perform and play their instruments at lunch time. This term there has also been a junior and senior girls rugby team established. They helped Organise a first year sports day and a health and fitness week. 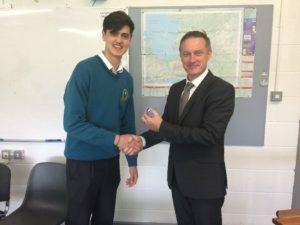 Darragh Clarke Head boy 2017-2018 receiving his medal.